PLEASE NOTE – THESE TERMS AND CONDITIONS FORM AN IMPORTANT PART OF YOUR CRUISE RESERVATION AND AGREEMENT WITH ON THE BLUE CRUISES, INC. AND CELEBRITY CRUISES FOR THIS CRUISE. PLEASE READ CAREFULLY. IF YOU OR ANY PERSON INCLUDED IN YOUR RESERVATION DOES NOT WISH TO BE BOUND BY THESE TERMS & CONDITIONS, YOU MUST NOTIFY ON THE BLUE CRUISES, INC. IN WRITING WITHIN 3 DAYS AFTER MAKING YOUR CRUISE RESERVATION, AND YOUR RESERVATION WILL BE CANCELLED AND YOUR CREDIT CARD, PAYPAL OR OTHER PAYMENT ACCOUNT NOT CHARGED (OR REFUNDED, IF PAYMENT WAS ALREADY MADE). FAILURE TO NOTIFY ON THE BLUE CRUISES, INC. WITHIN THIS 3 DAY PERIOD SHALL INDICATE THE AGREEMENT OF YOU AND ALL PERSONS INCLUDED IN YOUR RESERVATION TO THESE TERMS & CONDITIONS, AND ALL OF YOU WILL BE LEGALLY BOUND BY THESE TERMS & CONDITIONS. IF YOU DO NOT WISH TO ACCEPT AND BE BOUND BY THESE TERMS & CONDITIONS, YOUR RESERVATION/BOOKING WILL NOT BE ACCEPTED. Please read the following Terms and Conditions. These documents contain important limitations on your rights and the rights of all persons included in your reservation. These are legally binding documents, and by making your reservation on the Cruise you and all persons listed on your reservation are agreeing to abide by and be legally bound by these Terms & Conditions. This document contains additional contractual terms, conditions, and limitations between you and On the Blue Cruises, Inc. (“On the Blue”), Celebrity Cruises (“Celebrity Cruises”) and their respective officers, directors, employees, affiliates, subsidiaries, parent companies, related companies, agents and contractors (collectively referred to herein as the “Released Parties”), with respect to this cruise beyond the terms and conditions described in your agreement with On the Blue and in the Celebrity Cruises Cruise/Cruisetour Ticket Contract (“CELEBRITY CRUISES Cruise Ticket Contract”). These Terms & Conditions are incorporated into and made a part of your agreement with On the Blue and your CELEBRITY CRUISES Cruise Ticket Contract. You agree that these Terms & Conditions are subject to change by On the Blue and/or Celebrity Cruises in their good faith discretion. All references to “Guest”, “guest”, “you” or “your” shall have the same meaning as “Passenger” for purposes of this Contract and the words Guest, you, your, and Passenger as used in these Terms & Conditions shall include each person listed on a Cruise Ticket Contract and each person, other than On the Blue personnel, CELEBRITY CRUISES personnel, and artists and artist personnel, who embarks on the Cruise or attends any Cruise or Cruise related event, whether or not listed on a Cruise Ticket Contract. All terms shall be considered gender neutral and pronouns shall refer to the masculine and feminine, as context requires. By making this reservation, or by acceptance and/or use of the CELEBRITY CRUISES Cruise Ticket Contract, each passenger and guest included on the same reservation, acknowledges he or she has read, and understands (or if a minor, such person’s parent, guardian or representative has read and understands) each and every term, condition, and provision of the CELEBRITY CRUISES Cruise Ticket Contract and agrees to be bound thereby. In addition, by making this reservation or by the acceptance and/or use of the CELEBRITY CRUISES Cruise Ticket Contract by the persons named as Guests, it shall be deemed to bear acceptance and agreement by each and every person to all the additional Terms and Conditions set forth herein. Passenger acknowledges and expressly agrees On the Blue (and its affiliates) are acting solely in their capacity as tour operators, brokers and independent contractors arranging this cruise and that On the Blue has no right or ability to control or direct the operational or navigational activities of the vessel or crew in any manner whatsoever whether aboard the ship or ashore including and without limitation, persons furnishing services to the vessel or to the passengers including shore side excursions, personnel, or contractors, embarkation and disembarkation to and from the vessel, the condition of the vessel and its equipment. On the Blue shall have no responsibility or liability to you for any claims or damages relating to activities described in the preceding sentence. Your Cruise Fare includes payment for all On the Blue talent/entertainment related fees, your accommodations on-board the ship, all meals in the main dining room(s) and cafeteria, other casual dining throughout the day, non-carbonated, non-alcoholic beverages (coffee, tea, juices, etc. ), room service during posted hours (surcharge may apply to some items), use of the ship’s pools, health and fitness centers. Your cruise does not include government fees and taxes, fuel surcharges, transportation to/from ship, shore excursions, sightseeing or meals ashore, meals in specialty and à la carte restaurants, laundry, wine, beer, liquors, cocktails, soda, mineral water, bottled water, medical expenses, spa treatments, beauty salon, casino gaming, onboard shopping, onboard gratuities to the ship’s personnel, or any other items of a personal nature. Rates as described on the Pricing page of the Moody Blues Cruise website (www.moodiescruise.com) are per person based on double occupancy. All deposits are based on a minimum of two (2) guests per cabin. The date you make your reservation will ultimately determine your total payment due at the time of booking. 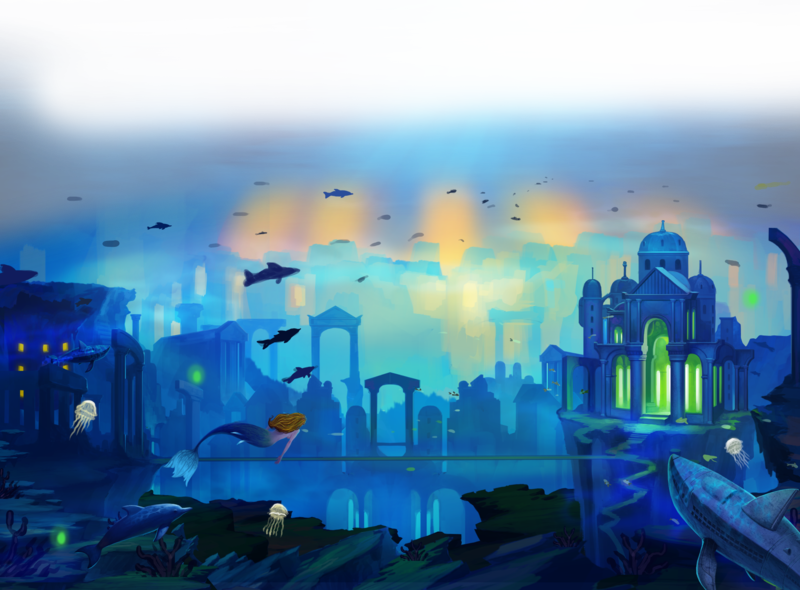 Payments will be reflected on your Credit Card or Bank Statement as SEAPLANNERS. 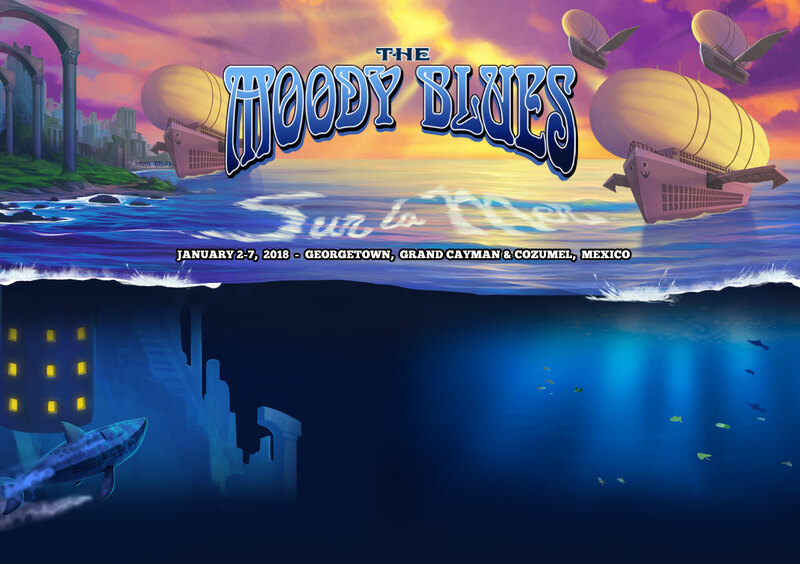 This year, the Moody Blues Cruise has 3 payment plans available. Please note the payment dates below as payments will NOT be automatically run and although we will send reminders, it is up to each guest to make sure the payment is made on or before the due date based on the payment plan selected at the time of booking. The date you make your reservation will ultimately determine your total deposit due at the time of booking and the subsequent payment dates. $300 per person deposit is due at the time of the reservation. Entire cabin must be paid in full by Monday, October 10, 2016 in order to receive a 5% discount of base fare only. Please see the Paid In Full Terms to be sure you do not lose your discount. If not paid by 11:59 Eastern on Monday, October 10, 2016 the discount is forfeited. No exceptions. If payment in full has not been received by Monday, October 10, 2016, On the Blue reserves the right to consider a reservation canceled, and to charge the applicable cancellation penalties. If the booking is reinstated, the guest will be put on the 4 Payment Plan and must bring the account current based on that payment plan. At that time, the Paid in Full Discount will be removed. First 25% of the total balance is due at the time of booking. Second 25% of the total balance is due on Monday, November 28, 2016. *Reservations made on or after November 28, 2016 will require a deposit of 50% of the total balance. 50% of the remaining cabin balance is due on Friday, April 28, 2017. *Reservations made on or after April 28, 2017 will require a deposit of 50% of the full cruise fare. The total remaining cabin balance is due on Monday, August 28, 2017. *Reservations made on or after August 28th will require a deposit of 50% of the full cruise fare and must be paid in full within 30 days of the booking or Friday, December 1, 2017 (about 30 days from the departure date), whichever comes first. If payment in full has not been received by Monday, August 28, 2017, On the Blue reserves the right to consider a reservation canceled, and to charge the applicable cancellation penalties. $300 per person is due at the time of booking. Your monthly payments begin on Monday, October 10, 2016. Your total remaining balance will be divided into 12 even payments. These will be due on the 10th of each month beginning October 10, 2016, with the final payment due on September 10, 2017. Payments will NOT be automatically deducted; therefore, it is up to each guest to submit payment on time each month. Payments must be made online using the payment link provided in your confirmation email or by calling our reservations team. *Reservations made on or after October 10, 2016 will not be eligible for the Monthly Payment Plan. No exceptions. If payment in full has not been received by 11:59 pm Eastern on the 10th of each month or a guest falls behind, On the Blue reserves the right to consider a reservation canceled, and to charge the applicable cancellation penalties. If the guest wishes to reinstate the booking, the guest will be put on the 4 Payment Plan and must bring the account current based on that payment plan. A $50 per person late payment fee may be applied for each cabin that does not remit payment by the required payment deadlines. On the Blue reserves the right to cancel any reservation that has missed two (2) consecutive payment dates. Single passengers are responsible for and will only be charged one add-on fee of $250 for mandatory government taxes and fees. The Payment Terms described above supersede those made by the CELEBRITY CRUISES Cruise/CruiseTour Ticket Contract. Please note the payment provisions of these Terms and Conditions apply to the Cruise, regardless of any representations made by CELEBRITY CRUISES or its affiliated entities, whether in the CELEBRITY CRUISES Cruise/CruiseTour terms or elsewhere. The rights granted to passengers in the CELEBRITY CRUISES Cruise Ticket Contract relating to the payment or refund of cruise fare and to cancellations by passengers shall not be operative. Mandatory Government Taxes, and Fees totaling $250 (USD) per passenger will be charged with the balance due on your cabin. These charges are in addition to the Cruise fare and may include, but are not limited to, passenger facility charges, security surcharges, international passenger departure or arrival tax, customs user fee, immigration fee and agricultural inspection fee, and miscellaneous ticketing fees. These taxes and fees are subject to increase prior to your departure date, in which case you will be invoiced for the balance. Please note: Gratuities are not included in your cruise fare and will be automatically charged to your onboard account at the prevailing rate. These include but are not limited to the maître d’ and his assistants, your waiter and busboys, buffet staff, stateroom attendants, room service and bellboys. Casino dealers and spa personnel are not included, since not all guests will utilize those services. A gratuity for bar services and servers will be included on all bar checks, added to the price of your drinks. Cabins are assigned based upon occupancy and availability at the time of booking by On the Blue. Special requests will be accommodated if possible, as determined by On the Blue in its sole discretion. On the Blue reserves the right, but not the obligation, to reassign passengers to another comparable cabin at any time, if required in the sole opinion of On the Blue. Cabin Assignments are subject to the paragraph headed “Roommates”, below. Due to the unique nature of our event, we have a very strict cancellation policy. We HIGHLY recommend that passengers consider purchasing travel insurance. All cancellation and reservations changes must be submitted in writing using our “Change Request Form.” To request a form, please email us at reservations@MoodiesCruise.com. No exceptions will be made. There will be no refunds given for those who do not show up on time, for unused tickets, or to those seeking refunds after the Cruise has commenced. Please note the cancellation provisions of these Terms and Conditions apply to the Cruise, regardless of any representations made by Celebrity Cruises, whether in its passenger contract terms or elsewhere. The rights granted to passengers in the CELEBRITY CRUISES Cruise Ticket Contract relating to the payment or refund of cruise fare and to cancellations by passengers are superseded by these Terms & Conditions, and shall not be applicable. The Passenger who places a reservation for a cabin onboard is considered the cabin’s “Primary” passenger, and is therefore solely responsible for initiating or authorizing all changes to the reservation. Downgrading your cabin to a cabin of lesser value is not allowed. Primary passenger name changes are considered a CABIN TRANSFER and are subject to a transfer fee of $250 USD. No transfer or change of a reservation to a NEW passenger shall be made without On The Blue’s prior written approval, to be given or withheld in On The Blue’s sole discretion. Subject to the preceding sentence, under no circumstances shall a Passenger or any person or entity acting on Passenger’s behalf (i) sell a reservation, cabin, or berth to any other person or entity for more than the price paid by the Passenger, or (ii) offer the reservation, cabin or berth to any other person(s) or entity(s) as a prize or award in a drawing, contest, lottery, sweepstakes, raffle or similar event of any kind; a transfer in violation of this sentence shall not be permitted, and the Primary passenger shall indemnify and hold harmless On The Blue from and against any damages, losses and claims suffered by On The Blue as a result of a violation by Primary passenger, or any other passenger listed on the reservation, of this paragraph. If a Primary or other passenger wishes to transfer the reservation, cabin or berth to a NEW passenger, the Primary passenger shall send a request in writing for approval of this transfer to On The Blue, along with (i) the reason for the requested transfer and a statement that the transfer will not violate this paragraph, (ii) the NEW passenger name, and (iii) a completed CELEBRITY CRUISES Passenger Contract for the NEW passenger. If the request is approved by On The Blue, the NEW passenger must make full deposit payment amount due based on the above due dates. Once that payment has been made, then the applicable amounts paid by the ORIGINAL traveler will be refunded directly to the original traveler. Any NEW passenger sailing with a reservation transferred to him/her in violation of this paragraph may be denied boarding by On The Blue or, in On the Blue’s sole discretion, removed by On the Blue from the Cruise at any port, at such NEW passenger’s sole cost. Each cabin will be entitled to one (1) complimentary name change (excluding Primary passenger) or passenger addition, for second, third or fourth passengers, upon request in writing to On the Blue. Any Additional changes prior to March 31, 2017 will be assessed a $50 fee for each occurrence. Any changes made to a reservation between April 1, 2017 – August 31, 2017 including, but not limited to, the addition of any guest not currently listed on the reservation are $100 per change. Any changes made to a reservation between September 1, 2017 – November 30, 2017 including, but not limited to, the addition of any guest not currently listed on the reservation are $250 per change. No changes will be allowed. All reservation changes (name changes, transfers & fees) must be submitted in writing by the Primary passenger using our “Change Request Form.” Change forms must be submitted by 5:30 pm Eastern by the above deadline dates. To request a form, please email us at reservations@MoodiesCruise.com. The date that such written notice of change/cancellation is received will determine the applicable change fee/cancellation fees per the above schedule. No exceptions will be made. On the Blue and/or CELEBRITY CRUISES reserve the right, at any time, to change the cruise itinerary whenever advisable or necessary, within their sole discretion. In such case, On the Blue and/or CELEBRITY CRUISES will NOT be responsible to passengers for any loss or expenses caused by reason of such changes or abandonment. Refunds will NOT be made to passengers who elect not to complete the cruise for any reason or cause whatsoever. You assume sole responsibility for your own safety in any port of call. On the Blue and the other Released Parties do not guarantee your safety at any time, and shall have no responsibility or liability for your safety in any port of call. You may find information about the scheduled ports of call through the U.S. Department of State, Centers for Disease Control and Prevention and other governmental and tourist organizations. On the Blue and the other Released Parties assume no responsibility for gathering and/or disseminating any such information. You acknowledge that severe weather conditions or other factors beyond the control of On the Blue and/or CELEBRITY CRUISES may prohibit the ship from docking at scheduled ports of call. In such case, On the Blue and/or CELEBRITY CRUISES will NOT be responsible to passengers for any loss or expenses caused by reason of such inability to dock at one or more scheduled ports of call. You acknowledge that all shore excursions and tours, however conducted; airline flights and ground transportation; and any ship physician, nurse and on board concessions (including, without limitation, gift shops, spa, beauty salon, fitness center, golf and art programs, and video/snorkel concession) are operated by independent contractors and not by On the Blue. On the Blue neither supervises nor controls their actions, nor makes any representation, whether express or implied, as to their suitability. These services are provided only as a convenience for you, and you are free to use or not use them. You agree that each of the Released Parties assumes no responsibility, does not guarantee performance and in no event shall be liable for any negligent or intentional acts or omissions, loss, damage, injury or delay to you and/or your property in connection with these services. You use them at your own risk. Infants must be at least 6 months old at the time of sailing. Guests under the age of 21 must be traveling with a parent or responsible adult AND must be booked in the same stateroom or a connecting cabin. Guests under the age of 21, traveling with a guardian 21 years or older, (who is not a parent, grandparent or court-appointed legal guardian), MUST bring an original signed letter from the absent parent/legal guardian authorizing the minor to travel with the appointed guardian. This will expedite processing by the Department of Homeland Security. Please note that a notarized letter to this effect is highly suggested. In addition, the CELEBRITY CRUISES Parent/Guardian Consent & Release Form must be filled out and present at the pier during embarkation with the required identification (a copy of both parents/legal guardians driver’s license or other government issued identification). Please note that adult guests are responsible for the safety and behavior of their minor guests. Guest ages will be verified at embarkation. Guests not conforming to the requirements set forth herein will be denied boarding and assessed a 100% cancellation penalty. NO exceptions will be made at embarkation. We strongly encourage guests to visit the Department of Homeland Security website (http://www.dhs.gov) or the Foreign Affairs & International Trade Canada website (http://www.voyage.gc.ca) for the most up-to-date traveler information including passport and visa requirements as well as travel advisories and safety recommendations. Please Note: Guests who fail to have the required documents as determined by U.S. Customs & Immigration will be denied boarding and such guests shall not be entitled to any refund nor shall Moody Blues Cruise, On the Blue Cruises, Inc. or Celebrity Cruises have any further liability to such guests. Although a passport is not required for U.S. citizens taking “closed loop” cruises , we strongly recommend that all guests travel with a passport (valid for at least six months beyond completion of travel). Having a passport will enable guests to fly from the U.S. to a foreign port in the event they miss their scheduled embarkation, or to fly back to the U.S. if they need to disembark the ship mid-cruise due to an emergency. The Western Hemisphere Travel Initiative (WHTI) Passport Requirements became effective June 1, 2009, for land and sea borders. While the WHTI requires a valid passport for land and sea travel, a final ruling was issued allowing leniency for “closed-loop” cruises, i.e., sailings that both originate and terminate in the same U.S. port. For both security and immigration purposes, each guest is responsible for bringing all necessary travel documents and identification required for the cruise itinerary. Only a valid passport (please note exception for closed loop sailings) or other WHTI compliant document will be accepted for entry or re-entry into the U.S.
Passport Card – The U.S. Passport Card can be used to enter the United States from Canada, Mexico, the Caribbean, and Bermuda at land border crossings or sea ports-of-entry and is more convenient and less expensive than a passport book. The passport card cannot be used for international travel by air. Original or Certified copy of a Government Issued Birth Certificate with a raised seal or in some cases a holographic image. Neither a notarized copy of a birth certificate NOR a Live Hospital Birth Certificate will be accepted by CBP. Please also keep in mind that if you are traveling using a birth certificate and you have had a name change (i.e. : marriage), you will need to provide proof of that name change (i.e. : marriage license). Consular report of Birth Abroad – Notarized copies are not acceptable. We highly recommend that if at all possible, guests travel with a Passport. Certificate of Naturalization – Notarized copies are not acceptable. We highly recommend that if at all possible, guests travel with a Passport. Enhanced Driver’s license (EDL) – There are currently only four (4) U.S. States and four (4) Canadian Provinces producing EDL’s. In addition to proof of citizenship, guests will be required to present a government-issued photo ID, such as a driver’s license. Children are also required to bring proof of citizenship, and if 16 and over, a photo ID is also required. ONLY US Citizens can sail using Proof of Citizenship along with a government issued photo ID. Canadian and Bermudian citizens are required to have a passport for air, land and sea travel. Birth certificates from Puerto Rico issued prior to July 1, 2010 are not valid forms of proof of citizenship accepted by U.S. Customs and Border Protection. Guests from Puerto Rico either need to present a WHTI-compliant document or government-issued photo identification with a validated birth certificate issued after July 1, 2010. These documents are NOT WHTI compliant documents, therefore, are NOT acceptable proof of citizenship. U.S. Alien Residents require a valid Alien Resident Card and, in some cases, a passport (depending on itinerary). Guests must check with their consulate or appropriate government authority to determine if their nationality requires they also bring a passport along with their Alien Resident Card. U.S. lawful permanent residents will continue to be able to use their Alien Registration Card issued by the Department of Homeland Security or other valid evidence of permanent residence status to apply for entry to United States. Card renewal is an important matter. ARC holders (United States permanent residents) with expired cards may be considered “out of status” and may be denied entry / reentry into the United States. If your ARC was issued over 10 years ago, you should check the expiration date printed on the front of the card. If your card is expired, or it is about to expire, you should renew your card before you sail. If you are holding an old edition ARC WITHOUT an expiration date, you will not be detained from entering the United States, but U.S. Customs and Border Protection highly suggests that you apply for a new card before you sail. All guests of nationalities other than United States must have a valid passport for six months beyond the period of their intended stay in the United States along with any and all valid visas (if applicable). Please see below additional information regarding the Visa Waiver Program and Six Months Passport Validity Rule excepted countries. Non-U.S. citizens require a valid machine-readable passport and a valid, unexpired U.S. Multiple Re-entry Visa, if applicable. Guests are advised to check with their consulate, or appropriate government authority to determine the necessary documents. Non-U.S. citizens that are eligible to apply for admission under the Visa Waiver Pilot Program must still have a valid unexpired passport. U.S. State Department regulations require all guests traveling from visa-waiver countries be in possession of a machine-readable passport that includes a biometric identifier – e.g., embedded digital photograph. Otherwise, guests will be required to obtain a U.S. Multiple Re-entry Visa. Guests without proper identification may be refused boarding or entry into the United States. On occasion, non-U.S. citizens and U.S. Alien Residents may be asked to surrender their passport and/or Alien Resident Card at time of embarkation. These documents will be returned upon completion of the Immigration inspection at the time of debarkation. Citizens of the countries listed below may be eligible to travel without obtaining a US visa under the Visa Waiver Program (VWP), provided they meet the required criteria and have an approved ESTA. The Electronic System for Travel Authorization (ESTA) is a web-based system for the collection of information on the VWP nationals prior to boarding U.S. bound – air or sea carriers. Registration in ESTA is mandatory for citizens of all 36 countries. All guests must present the required documentation at embarkation. Guests without the required documentation will be denied boarding and no refund will be issued. Please understand that Celebrity Cruises will strictly enforce this requirement to be in compliance with this important U.S. Government mandate. Family Legal Documents: Adults who are not the parent or Legal Guardian of any minor child traveling with them are required to present the child’s valid passport and visa (if required) or the child’s birth certificate (original or certified copy) and an original notarized letter signed by at least one of the child’s parents. The notarized letter from the child’s parent must authorize the traveling adult to take the child on the specific cruise and must authorize the traveling adult to supervise the child and permit any medical treatment that must be administered to the child. If a non-parent adult is a Legal Guardian, the adult must present a certified certificate of Guardianship with respect to the child. You will need a valid passport and, in some cases, a visa. If you live in the U.S., you will also need the original copy of your Alien Registration Card (ARC or “Green Card”) and any other documentation the countries on your itinerary require due to your alien status. On the Blue and the other Released Parties (as herein defined) assume no responsibility for advising you of immigration requirements. Non-U.S. citizens, including resident aliens, must contact the appropriate consulates, embassies and/or immigration office(s) to inquire about necessary documentation for the Cruise’s ports of call. By booking the Cruise, you represent and warrant to On the Blue and CELEBRITY CRUISES that you, and those traveling with you, are physically fit to travel at the time of embarkation. Neither On the Blue nor CELEBRITY CRUISES shall have any liability for damages or losses you suffer because you are not physically fit to travel. Pregnant women are highly recommended to seek medical advice prior to travel at any stage of their pregnancy. Women who will be up to 23 weeks pregnant by the end of the cruise are required to produce a medical certificate of fitness to travel. CELEBRITY CRUISES cannot for health and safety reasons carry passengers who are 24 weeks or more pregnant at the time of embarkation, and shall have no responsibility or liability for damages or losses of any kind suffered by such Passengers during the Cruise. CELEBRITY CRUISES reserves the right to request a medical certificate at any stage of pregnancy and to refuse passage if CELEBRITY CRUISES and/or the ship’s Master are not satisfied that the Passenger will be safe during the passage. Boarding will be denied to any person who will enter her twenty-fourth week of pregnancy by the time of the Cruise or during the cruise and to infants under four months old. You must notify On the Blue at the time of booking of any disability or other medical or physical condition that may require special assistance during the Cruise. Your failure to do so will release the Released Parties from any liability for loss, damages or other compensation arising from or related in any way to such disability or condition. On the Blue and CELEBRITY CRUISES reserve the right to require that any passenger who is not self-sufficient travel with a companion who shall take responsibility for any assistance needed during the Cruise and in case of emergency. You assume all risks associated with travel and transportation on the Cruise. While at sea or in port, the availability of medical care may be limited and/or delayed. You acknowledge that all or part of the Cruise may be in areas where medical care and/or evacuation may not be available. You agree to indemnify and reimburse On the Blue and/or CELEBRITY CRUISES in the event that either party, in its sole discretion, advances to you the cost of emergency medical care, including medical evacuation and/or medical care provided ashore, as well as transportation and/or lodging in connection therewith. Neither On the Blue nor CELEBRITY CRUISES shall have any responsibility to advance any such costs. CELEBRITY CRUISES and On the Blue assume no responsibility for carry-on luggage. Any luggage left at the pier will be forwarded to guest’s address only at the guest’s expense. Claims for luggage loss or damage must be made in writing to debarkation personnel prior to leaving the pier area. All luggage must be stored in the passenger’s cabin. Pets, dangerous or illegal items such as weapons, explosives, combustible substances, non-prescription controlled substances, or illegal drugs may not be brought onboard the ship. Any such items shall be surrendered to security at embarkation and may be disposed of at the sole discretion of Celebrity Cruises. All luggage hand-carried or checked is subject to search. You acknowledge that while all rooms within a cabin category are substantially similar, they may differ in minor ways in terms of size and layout. Your selection of a roommate for the Cruise is at your own risk. If you request On the Blue to select or assign a roommate for you, On the Blue may do so as an accommodation to you, but you acknowledge that this selection or assignment shall be at your own risk, as (i) On the Blue does not “vet” potential roommates in any way or investigate the potential compatibility of roommates, and (ii) On the Blue makes no representations or warranties of any kind to you as to the compatibility, suitability, or background of any roommate assigned to you. On the Blue and its Released Parties are not responsible nor liable to you in any way for any and all claims or cause of action arising out of or in connection with your selection of a roommate for the Cruise or assignment of a roommate to you by On the Blue, including, without limitation, any claims arising out of injury or damages suffered by you to your person or property which may be caused, directly or indirectly, in whole or in part, from such request, selection or assignment. For example, On the Blue and the Released Parties shall have no responsibility, obligation or liability to you in the event of fights between roommates, sexual or other harassment by your roommate, or other inconsiderate behavior by your roommate. On the Blue shall have no obligation or responsibility of any kind, or for any reason, to separate and move you or your roommate into other accommodations on board. You may not sell, promote, distribute or offer for sale any merchandise, goods, souvenirs or other products on the Cruise without first obtaining On the Blue’s written approval. You may not permanently disembark the Cruise ship, or remove any merchandise from it, at any port in the United States, its districts, territories or possessions, other than at the port of final disembarkation (Miami). On the Blue and/or its promotional partners will have photographers, videographers and the like on the Cruise to film or photograph passengers, and On the Blue and/or its promotional partners shall have the exclusive right to use or include photographic, video and other visual portrayals of passengers in any medium of any nature whatsoever, worldwide, in perpetuity, for the purpose of trade, advertising, sales, publicity or otherwise, without compensation to passengers, and all rights, title and interest therein (including all worldwide copyrights therein) shall belong to On the Blue and shall be On the Blue sole property, free from any claims by passengers or any person deriving any rights or interest from passenger. A video and/or crew will be shooting photographs and footage to be used for the promotion of future On the Blue events. When the video team or camera crew is shooting in any particular location/venue on the ship, your presence in said location/venue acknowledges your irrevocable permission for your likeness to be used in the video or photograph by On the Blue and/or its promotional partners for their future promotional videos or still pictures, worldwide, in perpetuity, in all media. If you do not wish to be filmed please notify the video or camera crew and be prepared for them to ask you to exit the location/venue for a short time until taping/shooting is complete. Guests will be permitted to take photos and videos onboard the cruise and during performances with small, non-professional digital cameras and cell phones. Out of respect for our performers and your fellow guests, we ask that you please NOT use flash during shows. Professional quality cameras with detachable lenses and video specific cameras are strictly prohibited. We appreciate your cooperation! Transportation on the Cruise may be denied to any person who, in On the Blue or CELEBRITY CRUISES sole discretion: (1) is or becomes in such a condition as to be unfit to travel; (2) is dangerous or obnoxious to others; or (3) is inadmissible to the country under the laws of any country of debarkation. In addition, On the Blue and CELEBRITY CRUISES reserve the right to refuse passage, to disembark or to confine to a stateroom any passenger whose physical or mental condition or behavior they consider, in On the Blue and/or Celebrity Cruises’ sole discretion, to constitute a risk to the person’s own well-being or the well-being of any other person, and such person waives all claims relating to such actions by On the Blue and/or CELEBRITY CRUISES. On the Blue and/or CELEBRITY CRUISES have the right to disallow booking or boarding to any passenger, who in the opinion of On the Blue and/or CELEBRITY CRUISES may impact the cruise, the business or reputation of On the Blue and/or Celebrity Cruises, other passengers, or artists in a negative or disruptive way. On the Blue and CELEBRITY CRUISES shall have full discretion and unilateral rights to make any such decisions. The Released Parties shall have no liability to any such person or any third party for damages or claims arising out of any such decisions described in this paragraph. Any costs resulting from On the Blue and/or Celebrity Cruises’ decision, including, without limitation, costs of lodging and transportation, shall be the responsibility solely of the passenger. Passenger, or if a minor, his or her parent or guardian, shall be liable to, and shall reimburse CELEBRITY CRUISES, On the Blue, and the other Released Parties for, any damage to the Released Parties’ property, the Vessel, the Transport or any property of CELEBRITY CRUISES or On the Blue, or claims or losses suffered by or made against CELEBRITY CRUISES and/or On the Blue, caused directly or indirectly, in whole or in part, by any willful or negligent act or omission on the part of the Passenger; and Passenger, or if a minor, his or her parent or guardian, shall further indemnify the CELEBRITY CRUISES, On the Blue, and the other Released Parties and each and all of their agents and servants against all liability which the Released Parties may incur towards any person or company or government for any personal injury, death or damage to property caused directly or indirectly, in whole or in part, by any willful or negligent act or omission on the part of Passenger. If, during the Cruise, Passenger feels that his/her safety is jeopardized by the act of any person, or if Passenger is injured by the act of any person or in any other incident (collectively referred to as an “Incident”), Passenger shall immediately report this Incident to the On the Blue Hospitality Desk onboard the Cruise. In such instance, Passenger shall cooperate with On the Blue in any investigation of the Incident that On the Blue may conduct, in On the Blue’s discretion. Passenger acknowledges that a failure to report any Incident to On the Blue during the Cruise will hinder and possibly prevent On the Blue’s ability to investigate such Incident, and in the event of such failure to timely report, On the Blue and CELEBRITY CRUISES shall have no liability or responsibility to Passenger or others arising out of the Incident. In the event of a violation of the Rules or these Terms & Conditions by Passenger during a performance, Passenger acknowledges that security personnel will act quickly to protect the artists and other passengers, and to prevent Passenger from disrupting the performance or creating safety issues for others, and Passenger hereby releases On the Blue and/or CELEBRITY CRUISES from any injuries, claims or losses suffered by Passenger as a result of the actions of security or other personnel (including physical acts) in the event of Passenger’s violation of these Rules or Terms & Conditions. Passenger shall not put any person in danger for their safety or well being, or engage in a fight or other altercation with any person, onboard the Cruise. In the event of a disruption of a performance by Passenger in violation of the Rules, or a fight in which Passenger is a participant, On the Blue and/or CELEBRITY CRUISES shall have the right, in its discretion, to remove Passenger from the performance, to bar Passenger from future performances during the Cruise, to remove Passenger from the Cruise at any port (at Passenger’s sole expense), and/or to ban Passenger from attending any future CELEBRITY CRUISES or On the Blue cruises (including a cruise by any companies affiliated with CELEBRITY CRUISES or On the Blue). In the event of any other violation of the Rules by Passenger, On the Blue and/or CELEBRITY CRUISES shall have the right, in their discretion, to remove Passenger from the Cruise at any port (at Passenger’s sole expense) and/or to ban Passenger from attending any future CELEBRITY CRUISES or On the Blue cruises (including a cruise by any companies affiliated with CELEBRITY CRUISES or On the Blue). On the Blue has a zero tolerance policy regarding the use, possession, purchase or distribution of illegal controlled substances. Any violation of this policy will result in disembarkation from the vessel as well as the individuals being turned over to the local law enforcement officials for appropriate legal action, in On the Blue’s discretion. In such cases On the Blue and CELEBRITY CRUISES shall not be liable for any refund or other compensation or damages. Guests are prohibited from bringing any alcoholic beverages, non-alcoholic beverages or any food onboard. Alcoholic beverages will not be sold or served to anyone under the age of 21. We reserve the right to refuse the sale of alcoholic beverages to anyone. Alcoholic beverages purchased in the ship’s gift shops or in ports of call will be retained by CELEBRITY CRUISES until the end of the voyage. By booking the Cruise, you (the passenger) hereby release and hold harmless the Released Parties, from and against any claim or cause of action arising out of or in connection with your travel on and participation in the Cruise, including, but not limited to: (1) injury, death or delay of passengers, or loss, damage or delay of or to passengers’ baggage or other property, which may be caused, directly or indirectly, in whole or in part, from participation in the Cruise, including, without limitation, passenger’s use of or participation in any shore excursion, on board concession or athletic or recreational activity, unless such injury, etc. is caused by the gross negligence or intentional acts of Released Parties; (2) your request for or selection of a roommate for the Cruise or the assignment of a roommate to you if no request is made by you; (3) emotional distress, mental suffering or anguish or psychological injury of any kind under any circumstances (except when such damages were caused by the Released Parties’ negligence and resulted from the same passenger’s sustaining actual physical injury, or having been at risk of actual physical injury, or when such damages are held to have been intentionally inflicted by the Released Parties); (4) any change in scheduled Cruise events and/or celebrity appearances; (5) violation of the Rules by you; or (6) if CELEBRITY CRUISES exercises its contractual rights (see below). You further agree that the Released Parties shall not be held vicariously liable for the intentional or negligent acts of any persons not employed by any of the Released Parties, nor for any intentional or negligent acts of any of the Released Parties’ employees committed while off duty or outside the course and scope of their employment. Claims for Personal Injury, Illness or Death: – Subject to these Terms & Conditions, the Released Parties shall not be liable for any claims whatsoever for the personal injury, illness or death of a passenger, unless the passenger has first notified the On the Blue hospitality desk of such injury or illness during the Cruise if the injury or illness first occurred during the Cruise (so that On the Blue may begin to gather information about such injury or illness while the Cruise is still going on), and full particulars in writing are given to On the Blue within 90 days after the date of the injury, event, illness or death giving rise to the claim. Suit to recover on any such claim shall not be maintainable unless filed within one (1) year after the date of the injury, event, illness or death. You (the passenger) expressly waive all other potentially applicable state or federal limitations periods. Claims other than Personal Injury, Illness or Death: – Subject to these Terms & Conditions, the Released Parties shall not be liable for any claims whatsoever, other than for personal injury, illness or death of a passenger, unless the passenger has first notified the On the Blue hospitality desk of the existence of such claim during the Cruise if such claim was or should have been known to passenger during the Cruise (so that On the Blue may begin to gather information about such claim while the Cruise is still going on), and full particulars in writing are given to On the Blue within 90 days after the passenger is landed from the Cruiser. Suit to recover on any claim whatsoever other than for personal injury, illness or death shall not be maintainable unless filed within one year after the date the passenger is landed from the Cruise or the Cruise is abandoned. You (the passenger) expressly waive all other potentially applicable state or federal limitations periods. THE EXCLUSIONS OR LIMITATIONS OF LIABILITY OF THE RELEASED PARTIES SET FORTH IN THE PROVISIONS OF THIS CONTRACT SHALL ALSO APPLY TO AND BE FOR THE BENEFIT OF AGENTS, INDEPENDENT CONTRACTORS, CONCESSIONAIRES AND SUPPLIERS OF THE RELEASED PARTIES, TOGETHER WITH THE EMPLOYEES AND SERVANTS OF EACH OF THE FOREGOING. WITHOUT LIMITING THE PRECEDING SENTENCE, IN NO EVENT WILL THE RELEASED PARTIES OR CELEBRITY CRUISES BE LIABLE TO PASSENGER FOR ANY CONSEQUENTIAL, INCIDENTAL, EXEMPLARY OR PUNITIVE DAMAGES. In the event of strike, lockouts, riots or stoppage of labor from whatever causes, or for any other reason whatsoever beyond the control of On the Blue or CELEBRITY CRUISES, On the Blue and/or CELEBRITY CRUISES in its sole discretion may cancel, advance, or postpone any scheduled sailing or call at any port and may (but is not obligated to) substitute another vessel, and neither CELEBRITY CRUISES nor On the Blue shall be liable for any loss whatsoever to passengers by reason of such cancellation, advancement, postponement, or substitution. If the Cruise is completely canceled, On the Blue shall return to you your cabin fare, prepaid gratuities, and related taxes and fees, or, if the Cruise is partially cancelled, a proportionate part thereof. Under such circumstances, On the Blue and the Released Parties shall have no further liability for damages or compensation of any kind. Please note that the availability of any refund for travel insurance and/or other travel products (airfare, hotel, car rental), even if purchased in conjunction with the Cruise, will be determined in accordance with the applicable cancellation policies for such other products or services and shall not be the responsibility or obligation of On the Blue or CELEBRITY CRUISES. On the Blue has entered into an agreement with each performing artist or band on the Cruise, as applicable, under which the artist or band is to be present on board the Cruise and appear and perform in accordance with terms specified therein. However, neither On the Blue nor CELEBRITY CRUISES shall be liable or responsible in any way to Passengers or others for the failure of any artist or musician (including an artist or musician who is a member of a band), to appear on board or to perform under artist’s (or the band of which artist is a member) agreement with On the Blue. Further, neither On the Blue nor CELEBRITY CRUISES shall be liable or responsible for any loss, damage, cost, or expense of any kind (including, but not limited to, actual damages, consequential damages, or travel-related expenses or damages) to any Passenger or any other person or entity (i) in the event that such performance or appearance does not occur because of the failure of any artist or musician to appear on board or to perform pursuant to such artist, band, or musician’s agreement with On the Blue, (ii) because such appearance or performance by an artist, musician or band is prevented or caused by or results directly or indirectly from any act of God, war, fire, collision, directions of underwriters, arrest, order or restraint by any government agency or official acting under color of authority, acts of terrorism, labor disturbances or disputes, civil commotion, weather conditions and considerations of the safety of the vessel (for which the Master shall be the sole judge), breakdowns of or damage to the vessel’s hull or machinery, requisition of the vessel by governmental authority, illness or death of artist, illness or death of a family member of artist, or any other cause or circumstance beyond On the Blue’s reasonable control, or (iii) artist’s appearing on board but being unable or unwilling to fulfill all of artist’s responsibilities required under its agreement (or the agreement of the band of which artist is a member) with On the Blue. In the event of any failure of contracted artists (including an artist who is a member of a band that has contracted with On the Blue) to perform during the cruise, On the Blue, in its sole discretion, may (but shall have no obligation to) engage a replacement artist, band, or artists, schedule additional performances by other artists appearing on board, or may change, postpone or terminate all or any part of the Cruise or the entertainment program or change the program or itinerary. In such case, On the Blue, shall have no liability of any kind to any Passenger for any loss, damage, cost or expense whatsoever suffered or incurred by Passenger by reason of such change. If any contracted artist(s) or musician(s) (including an individual artist or musician who is a member of a band contracted to perform on the Cruise by On the Blue) does not appear on board to perform during the Cruise, or appears on board but is unable to or does not perform on board, Passenger shall have no right to cancel his/her agreement with On the Blue with respect to the Cruise or to receive any refund of any monies paid to On the Blue in connection with the Cruise, and On the Blue shall have no liability or responsibility of any kind to Passenger, including but not limited to liability for actual damages, consequential damages, or travel-related expenses or damages. The cruise ship itself is controlled and operated by CELEBRITY CRUISES, not On the Blue. Passenger acknowledges and agrees that On the Blue shall have no responsibility or liability of any kind to Passenger for any issues, claims or damages of any kind arising because of conditions on the ship itself – such as, but not limited to, mechanical issues on board, ship equipment, facilities provided on board (i.e., swimming pool, bars, furniture, etc.) food and beverages served on the ship, lodging conditions (including beds, room furniture, plumbing, electrical), and/or ship safety issues. You will receive CELEBRITY CRUISES Cruise Ticket Contract Terms and Conditions (the “CELEBRITY CRUISES PASSENGER CONTRACT”) with your Cruise ticket. The CELEBRITY CRUISES Cruise Ticket Contract constitutes your agreement with Celebrity Cruises. The CELEBRITY CRUISES Contract provides that CELEBRITY CRUISES may exercise its rights in a variety of matters, including, without limitation: (i) it has the right to alter the ship’s course, ports of call, itinerary, activity and shore excursions, for any reason, to ensure the comfort and safety of the passengers and crew;(ii) it has the right to make a decision to comply with any order, recommendation or direction given by any government or other person or On the Blue; and (iii) it has the right to make a decision to deny boarding to, confine to a stateroom or disembark any Cruise passenger. The Released Parties (as defined above) shall not be liable to you or any third party for any claim or cause of action arising, directly or indirectly, in whole or in part, out of CELEBRITY CRUISES exercise of any of its rights as provided in the CELEBRITY CRUISES Terms. Without limiting the foregoing, the Released Parties shall not be liable to any Cruise passenger for a full or partial refund of any Cruise fare, or for any lodging or transportation expenses, as a result of CELEBRITY CRUISES exercise of its contractual rights. Except where prohibited by law, you (the passenger) expressly agree that: (1) any and all disputes, claims and causes of action arising out of or connected with the Cruise shall be resolved individually, without resort to any form of class action, and exclusively by the appropriate federal or state court located in Tampa, Florida, U.S.A. to the exclusion of the courts of any other state, territory or country; (2) you waive any objection to venue, jurisdiction or other objection that you may have to any such action or proceeding being brought in any federal or state court located in Tampa, Florida; (3) any and all claims, judgments and awards shall be limited to actual out-of-pocket costs incurred, including costs associated with the Cruise, but in no event attorneys’ fees; and (4) you waive the right to claim any damages whatsoever, including, but not limited to, punitive, consequential, direct or indirect damages. All issues and questions concerning the construction, validity, interpretation and enforceability of these Terms and Conditions shall be governed by and construed in accordance with the laws of the State of Florida, without giving effect to any choice of law or conflict of law rules (whether of the State of Florida or any other jurisdiction), which would cause the application of the laws of any jurisdiction other than the State of Florida. CELEBRITY CRUISES reserves the right to substitute the Cruise vessel. Any consequences arising out of CELEBRITY CRUISES exercise of this right shall be governed by the agreement between CELEBRITY CRUISES and On the Blue, and not by the CELEBRITY CRUISES agreement with you, the passenger. Furthermore, in the event of any conflict between the CELEBRITY CRUISES Terms and these Terms and Conditions, these Terms and Conditions will prevail. In addition, CELEBRITY CRUISES and/or On the Blue may reassign cabins as determined necessary or desirable by the Vessel’s Safety Department or On the Blue, in their sole discretion. All trademarks are the exclusive property of their respective owners, and you shall have no rights to use or display any such trademarks, including but not limited to trademarks of On the Blue and Celebrity Cruises, without the express written permission of the trademark owner. The information contained on this page and in other pages and material relating to the Cruise, including any information regarding celebrity participation and programmed events, is subject to change at any time, in the good faith discretion of On the Blue. The Released Parties are not responsible for any errors, changes and/or omissions resulting in pricing, inventory or content discrepancies. Passenger acknowledges and confirms that any travel agent utilized by Passenger in connection with the issuance of this ticket is, for all purposes, Passenger’s agent and the Released Parties shall not be liable for any representation made by said travel agent. Passenger shall at all times remain liable to On the Blue for the price of passage. In addition to the restrictions and exemptions from liability provided in these Terms and Conditions, the Released Parties shall have the full benefit of any applicable laws providing for limitation and exoneration from liability, and nothing in contained herein is intended to operate to limit or deprive the Released Parties of any such statutory limitation of or exoneration from liability. Without limiting the foregoing, the Released Parties claim benefit of all restrictions, exemptions and limitations of the “Convention Relating to the Carriage of Passengers and Their Luggage by Sea” of 1974 as well as the Protocol to the “Convention Relating to the Carriage of Passengers and Their Luggage by Sea” of 1976 (“Athens Convention”), which limits the liability of the Released Parties for the death of or personal injury to a passenger to no more than the applicable amount of Special Drawing Rights as defined therein, and all other limits on damage or loss to personal property. These Terms and Conditions and the terms accepted during the cruise reservation process contain the entire agreement between On the Blue and Passenger and supersedes any other agreements, written or oral, relating to the subject matter herein. Any waiver of any provision of must be made in writing and signed by an authorized representative of On the Blue. If any portion of shall be determined to be invalid, then said portion shall be deemed severed from the Contract in such jurisdiction only and all remaining portions shall remain in full force and effect.